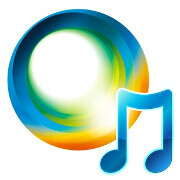 The Sony Music Unlimited app received a new update a few short days ago adding a 320kbps AAC high-quality stream. An offline mode also comes in tow, promising to let users jam their best tunes on-the-go. It works via a new feature that allows you to download tracks and even albums which can then be accessed later, even when offline. Relatively late to the party, Sony Music Unlimited first joined up with the army of music-streaming apps on Apple's platform on May 21. Timing seems to be of little note for the people behind the project, however, for they have been keeping up in terms of feature updates and currently offer a choice of over 20 million songs in their database. The app comes as a free download, but you will only get access to 30 seconds of song preview. Since the app boasts to be ad free, you'll have to place a subscription in order to get access to the full functionality of the app. Should you choose to go for Sony's proposition, the subscription will shed $10 off your monthly allowance.